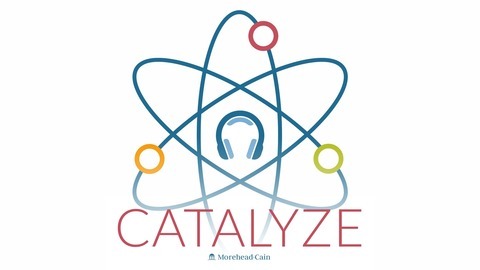 This is Catalyze, a podcast produced by the Morehead-Cain Foundation at the University of North Carolina at Chapel Hill. 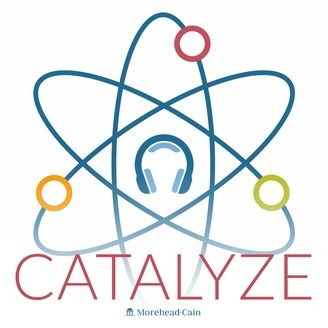 With a wink and a nod to the Foundation's two chemist benefactors—John Motley Morehead III and Gordon Cain—“Catalyze” is meant to represent action and movement. By definition, a catalyst causes or accelerates change. Morehead-Cain Scholars and Alumni cause and accelerate change in their lives, careers, and communities with the projects they undertake to transform themselves and the world around them for the better. Each episode of Catalyze features one of these action-oriented alumni and their story. Our recorded conversations cover Carolina experiences, career evolutions, individual leadership approaches, personal values, and all kinds of stories of resilience and achievement. Our vision is for the stories of Morehead-Cain Scholars and Alumni to inspire you to go out and catalyze the world around you. To be the change you want to see, and to galvanize others to join you in making positive change happen. Today you'll hear from Jim Exum, one of eight members of the first class of undergraduate Morehead-Cain Scholars: the Class of 1957. Jim is also a former Chief Justice of the North Carolina Supreme Court. After attending law school on a full scholarship at New York University, Jim practiced law in North Carolina until 1967, when he began a term in the North Carolina House of Representatives. The same year he joined the House, the governor appointed him Resident Superior Court Judge in Guilford County. In 1975, Jim joined the North Carolina Supreme Court, where he eventually became Chief Justice. Jim wrote more than 400 opinions for the court. In the mid-90s, Jim returned to private practice. As a lawyer, he has helped brief and argue more than 40 appeals in state and federal appellate courts. Throughout the early 2000s, Jim served as Distinguished Jurist-in-Residence at Elon Law. He taught law as a professor there from 2000 until his retirement in 2018. Jim has received multiple awards for his commitment to civil liberties and justice.